It’s a big week for big Brooklyn skyscrapers. 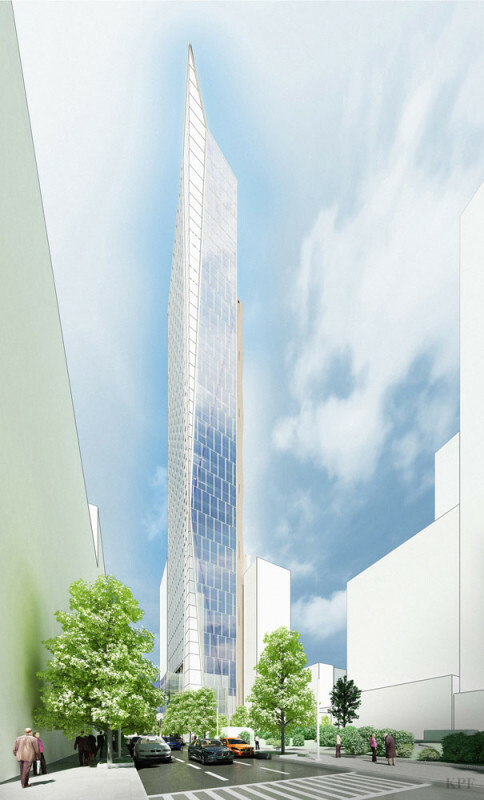 Yesterday, SHoP Architects and Kohn Pedersen Fox Associates unveiled plans for towers within a block of each other, in the Brooklyn Tech Triangle. KPF is developing the 400,000 square foot office and retail project at 420 Albee Square in partnership with JEMB Realty and the New York City Economic Development Corporation (NYCEDC). 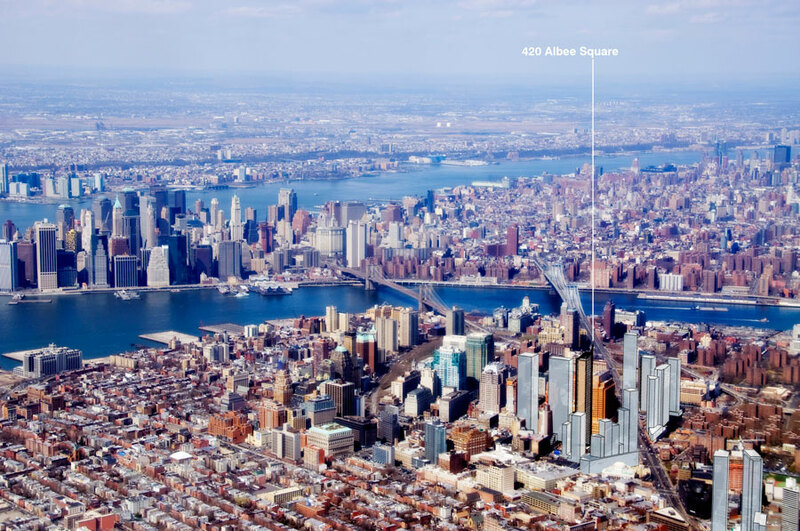 At 600 feet tall, the tower will be 400 feet shorter than SHoP’s, but it will still reign as Brooklyn’s second tallest building. 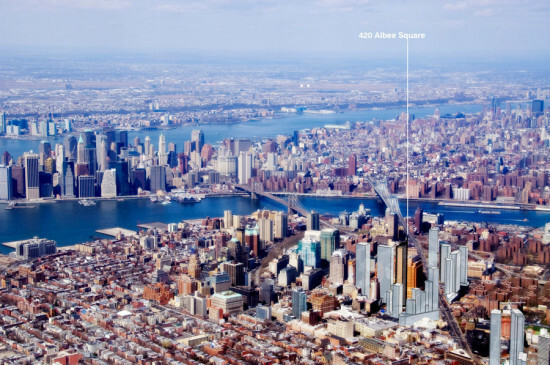 Plans for tall towers in Brooklyn are years in the making. 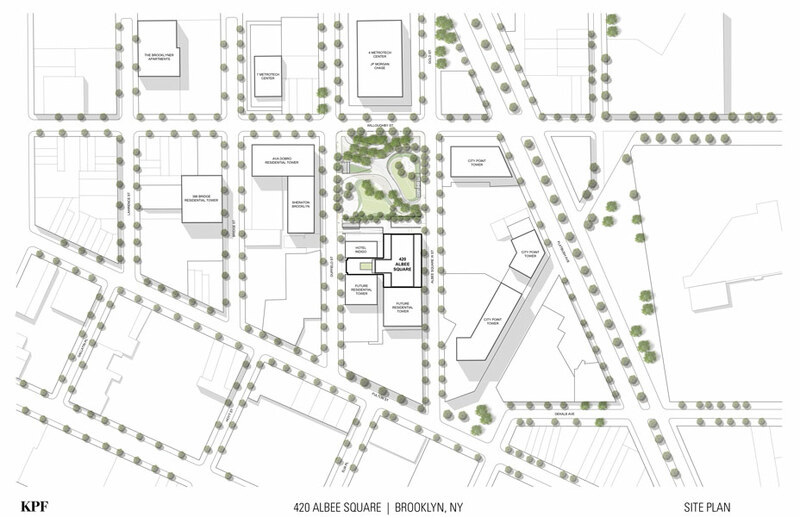 In 2004, the Downtown Brooklyn Development Plan rezoned the district bounded by Flatbush Avenue, Fulton Mall, and Willoughby Avenue to spur the development of office space and academic facilities (the area includes parts of the Brooklyn Tech Triangle). Blocks adjacent to this commercial core were rezoned to accommodate denser residential development and ground floor retail. The effects of the zoning changes in the city’s third largest commercial district are especially noticeable on Fulton Mall, where longtime businesses catering to low- and middle-income shoppers are being replaced (homogenized, some say) by upscale national chains. 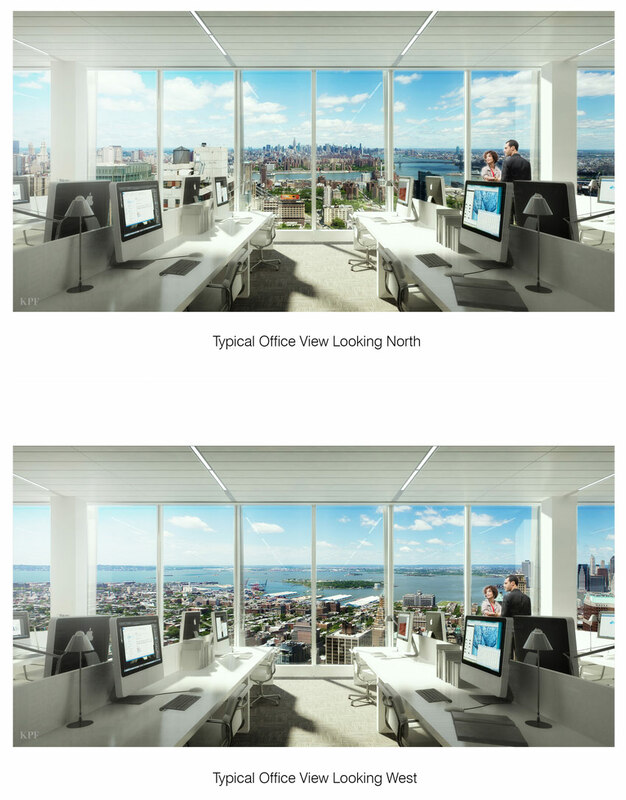 The NYCEDC claims that, to remain competitive, the city needs 60 million square feet of office space built by 2025. 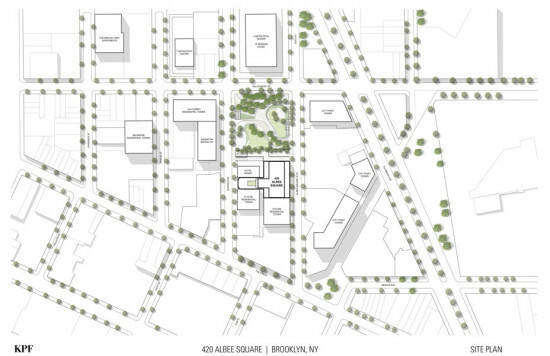 How the additional office space catalyzes change in downtown Brooklyn remains to be seen.